October is filled with trees and shrubs in colors of yellow, red, purple and orange. It is, however, kind of a blah month for the garden. Plants have stopped flowering, and some have succumbed to the first light frosts and colder temperatures. 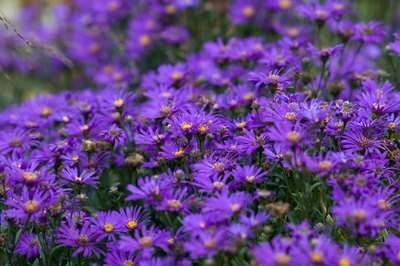 With a little planning, October can include flowers in the colors of fall: purple pansies; orange, purple, yellow and red mums; and white, yellow and purple asters to name a few. 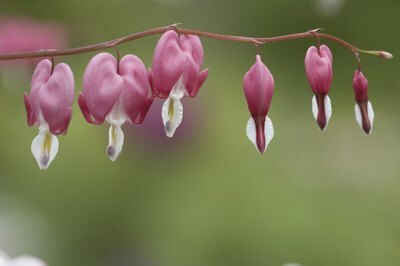 Cold-weather flowers are plants that can withstand light frosts and bloom when the temperature drops below 50 degrees F. Most cold-weather flowers bloom in spring, then go dormant over the hotter summer months, like foxgloves, columbines and bleeding hearts. There are plants, however, both annuals and perennials, that like to grow during the hot summer months and bloom during cooler fall weather. These plants tolerate light frosts and cold night temperatures, although throwing an old sheet or fleece over them on nights when a heavy frost is predicted can keep them blooming until the first deep snow. October is traditionally the time to plant spring bulbs. 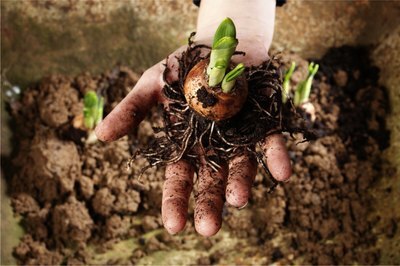 Planting now gives the bulbs time to grow roots before the soil freezes. Rather than planting spring bulbs individually, dig a trench deep enough for the bulbs and plant in blocks. There are some late-blooming bulbs like Oriental and some day lilies and saffron hyacinths that tolerate colder fall temperatures. Plant these bulbs in late spring for fall blooms. Be sure to cover lily plants on nights when frost is forecast, as the flowers will disintegrate. Saffron hyacinth can tolerate some light frost as long as they have morning sun. Pansies are the ubiquitous spring and fall annual, with flats coming out in late summer for fall flowers. 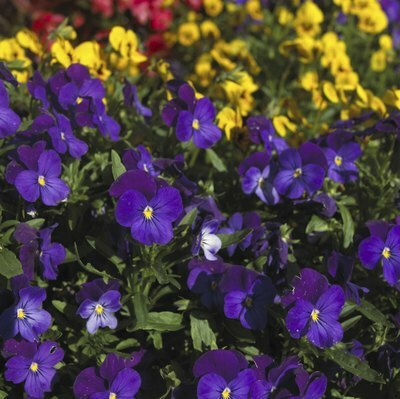 While the purple, yellow and orange flowers of pansies are appreciated, you can move beyond them by looking for johnny-jump-ups (a type of small pansy), snapdragons, asters and ornamental cabbages and kale (while not flowers, their variegated and colored foliage is most attractive). Most other annuals will continue to flower into early November or when nighttime temperatures fall below freezing as long as they are covered on nights when frost is predicted. Marigolds, petunias, zinnias, cosmos and calendula are some of my favorite annuals for October, as they perform well in my Zone 6 garden. Experiment with your annual flowers. Cover containers and flower beds with old sheets to protect them from frost. 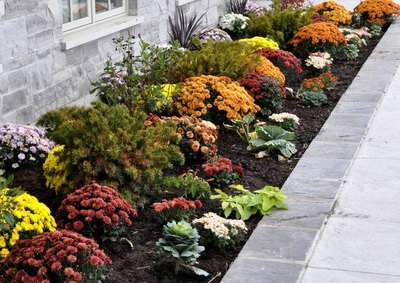 As a general rule, plants that do well in a spring garden will do well in a fall one. Perennials are trickier than annuals, as most annuals are disposed of when they finally succumb to frost damage. Perennials must be tucked up for the winter, and few can withstand the rigors of frost and cold nighttime temperatures. 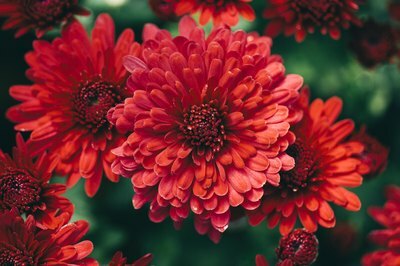 Chrysanthemums or mums, are the best-known fall perennial flower, although they are often grown as annuals, since some gardeners like to dispose of the plant in late winter. Mums have moved beyond the traditional yellow and orange, with colors of purple, burgundy, red, and pale orange or tangerine now available. There are perennial asters that attract migrating butterflies and hummingbirds. Dianthus, rudbeckia, primroses and forget-me-nots also will tolerate light frosts. Place October blooming flowers in full sun and in a spot where they have protection from the prevailing wind. Mix them in borders, placing them next to plants with vigorous blooms to offset or hide their plain leaves. You don't have to worry about clashing bloom colors, as most October blooming flowers come in the colors of fall--orange, yellow, purple, red and white. Keep them away from shrubs and trees with striking leaves or the leaves may overwhelm the flowers. What Colors Do Mum Flowers Come In?